Six men have gone on trial for the murder and manslaughter of a 24-year-old Jaskaran Kang who was found stabbed to death in his flat in Dudley. 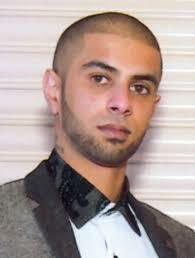 Jaskaran Kang, from Handsworth was killed last year in January. Joshua Campbell, aged 18 from King Edmond Street, Dudley, has been charged with murder. Dontay Ellis, aged 19 from Central Drive, Lower Gornal, Michael Cunningham, aged 18, of Newcastle under Lyme, and James Peake, aged 18, from Southgate Way, Dudley, are also accused of murder. Reggie Salmon, aged 21 from Stourbridge Road, Dudley, and Tyrone Johnson, aged 21 from Malthouse Drive, Dudley, are both charged with manslaughter. All six men are accused of conspiracy to commit robbery.